Rockland Luggage Review: Are They Durable? This week we’re taking a look at the cheap and colorful Rockland luggage and how it compares to other luggage manufacturers. Although they offer some of the most affordable options out there, they’re not made to last. In this Rockland luggage review, we’ll be going in-depth on their customer feedback, quality, features, warranty, prices and more. We’ve been impressed by how affordable their suitcases are. You can get a suitcase in the 30-50$ range or a whole set for 50-100$. But don’t be fooled with what you’re getting into – you get what you pay for. Rockland suitcases are not on the top of our list when it comes to quality. However, we still think that their suitcases are useful to some degree. If you’re looking for a cheap suitcase and you’re rarely flying, you’ll probably be just fine. Or if you’re traveling with kids, Rockland will be excellent for your kids, as they’re colorful and offered in various fun patterns. On our review system, they’ve gained 63 out of 100 points; we’ll go more into detail down below. Affordable. It’s hard to find anything cheaper than Rockland with better durability and customer feedbacks. Customer reviews. Between the cheap manufacturers, we haven’t seen better feedbacks. Think of them as Ryanair – Everyone knows they’re cheap, so they’re not surprised when they don’t get reimbursements or less on-flight comfort. Colorful and good looking. Their suitcases are offered in countless colors and patterns, and we admit that some of them are pretty amazing. Quality. From what we’ve seen, their cases don’t stand up to frequent use. Broken zippers and wheels, cracks in the cases, scratches, broken handles – Anything can happen when their suitcases are checked-in frequently. Warranty. Don’t expect to be covered by the warranty. 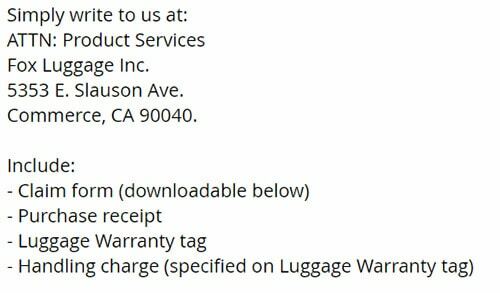 From most consumers, we’ve heard that when you want your suitcase sent to warranty, you will have to pay for shipping (10-20$) plus additional 40$ for “Evaluation fee.” And even then you’re not guaranteed to be covered. You’re paying for them to determine if the problem is covered by warranty. Most cases, it’s cheaper to buy a new case instead. If you want some dependability, this model is the best that Rockland has to offer. Instead of ABS, it’s made from Polycarbonate and has received excellent customer reviews. The Melbourne 20-inch is a solid option if you’re looking for an affordable hardside carry-on. It’s not for frequent travelers but will be just fine for people who travel 2-5 times per year. This 2-piece carry-on set by Rockland is ridiculously cheap and available in 50 different variations. Overall, a solid deal if you’re looking for something short-term or traveling rarely. Rockland luggage doesn’t have their own website. They’re under the brand Fox luggage. So if you ever run into any issues, you should contact Fox luggage instead. They were established in 1995 and are focusing on selling their suitcases only through other channels, like Amazon, Ebags, and Kohls. If you ever need to contact them, you can do it through their website. Between all the cheap luggage manufacturers, Rockland may have the best reviews out there. Of course, if you were to compare their reviews with some more well-known brands, like Travelpro or Samsonite, Rockland is a clear loser. However, these popular brands also cost twice as much. Shouldn’t the reviews be twice as good? Not literally, of course, but we’ve seen that for the price that Rockland is retailing at, their reviews are pretty decent. When compared to other affordable manufacturers, they’re a clear winner. Most of their products are averaging at 3.7-4.4 stars. A weird thing that we noticed in some reviews is that their hardcase suitcases smell weird when you first open them up – similar to rubber and plastics. But the good news is that the smell goes away after a while. We would suggest leaving the bag open for the first few days before finally using it. Another thing that you should be aware of is that sometimes the products don’t 100% match the description and pictures. They’ve been using some outdated photos of the previous models and are eager to change them. Whenever you’re purchasing something cheap, you shouldn’t expect the product to last a lifetime. Same goes for Rockland luggage. If you’re looking for something more durable, check out Travelpro. We’ve been testing them and were impressed by their durability. They’ve achieved a rating of 90/100 on our scale (Which is the top one yet). Back to Rockland – How has Rockland been so successful at keeping their prices so low? Partly, the answer hides in their choice of materials. Instead of using Polycarbonate, Rockland went with ABS for their hard shell suitcases, which is more fragile, but cheaper. Also, their fabric cases are made from Polyester, instead of Nylon or other more durable materials. Their suitcase lifespan is anywhere from one to five years. After that, don’t bother with the warranty, get a new case. In features, the suitcases made by Rockland luggage are pretty limited. And we can understand why, given their fair price. However, you still get some of the most basic features, which is nice. It’s nice to see that most of their suitcases are offered with spinner wheels. Given from the reviews, they’re actually pretty decent regarding durability. They’re not the best ones we’ve seen, but good enough. When you take a look at their most affordable options, you don’t get much when it comes to packing features. Basically, you get the same features as you would in the mid-2000s: A large inner compartment with compression straps and one zippered mesh pocket. Overall, we’ve rated Rocklands features at 8 out of 15. Aside from the expandable width, they’re the most basic ones that you would expect from any suitcase. Although Rockland isn’t as high as Mia Toro Italy in design, they’re very close. We’ve rated their design at 14 out of 15 points, based from what we’ve researched. Mia Toro scored a whopping 15 points because their designs were unique and artistic. And we’re not the only ones who agree… Their review sections are filled with comments on how cute their luggage looks in real life. Whenever you’re looking at their luggage, it’s usually available in 10, 20 or even 50 different color options. For instance, the Rockland luggage 2-piece printed set is available in 50 different colors and patterns! When it comes to the warranty, Rockland is really slacking. Although their suitcases come with three or five-year warranty, it’s pretty much useless. First of all, if you want to contact them about any warranty issues, you have to contact them by mail. REAL MAIL, like we used to do in the nineties! They do provide a contact email customerservice@foxluggage.com, but it’s not for warranty related inquiries. Now comes the next part, once you send the letter, and wait for the response, you will be presented with another fee. A 40$ evaluation fee. Also, you will have to pay for the shipping, which is about 10-20$. When you’ve spent 50-60$ in total, Rockland will only then inspect the case and could deem it as not covered by warranty. The price of a new suitcase starts at 30-50$, so in reality, their warranty is pretty much useless. Just get a new case and be done with it. Overall, we’re impressed with how affordable their luggage is. If you’re looking for a single carry-on, expect to pay 30-50$. For a luggage set, 50-100$, which is just insane. Not many brands can offer such low prices, but the ones who are usually are of worse quality than Rockland. From the price/quality standpoint, their luggage is actually a good deal, and that’s why we’ve given them the maximum rating of 10 points. Although we wouldn’t recommend Rockland luggage for frequent flyers, we don’t think that they’re bad for people who travel rarely. If you’re using the suitcase only a few times per year, they’ll do just fine. Another useful application would be to use their luggage for your children. It’s cheap and often presented in various colorful and fun patterns. For instance, the animal collection, that features owls, zebras, and other animals, is excellent for kids. Also, they cost only a few bucks, so you won’t be mad when your kids break them. We’ve given them 63 out of 100 points. To compare, Ricardo Beverly Hils received 82 points, but they cost nearly twice as much. This 20-inch carry-on by Rockland is actually a really solid choice, even for semi-frequent users. It’s made well-above Rocklands standards regarding quality. First of all, it’s available in more than ten different patterns for you to choose from. Out of all, we think that the owl, tribal, and multi heart patterns look the best. From outside, the suitcase is fitted with top and side handles, a retractable top handle and four spinner wheels. Regarding features, nothing to get too excited about. When you open the carry-on, the interior is made in a split-book style, which means that both parts are equal and divided by a fabric sheet. Other than that, the interior is fitted with two compression straps, a zippered pocket, and an open elastic pocket. Again, nothing spectacular, but good enough for its affordable price. Now when it comes to durability, this suitcase is the most durable one that Rockland has to offer. For instance, it’s made from polycarbonate instead of cheaper ABS, and the retractable handle is much more rigid. Overall, this is a nice hardside carry-on suitable for people who travel 5-12 times per year. For instance, if you’d use it weekly, the bag would last for about two to three years. Not bad given its price. The Rockland Melbourne 20-inch carry-on is Rocklands most popular hardside suitcase, and we can understand why… It has received decent reviews, it’s good-looking and is really cheap. Its main weakness is its build material ABS. This material is often used in cheaper carry-ons because it’s less expensive to manufacture than polycarbonate. However, it’s not that durable as well. 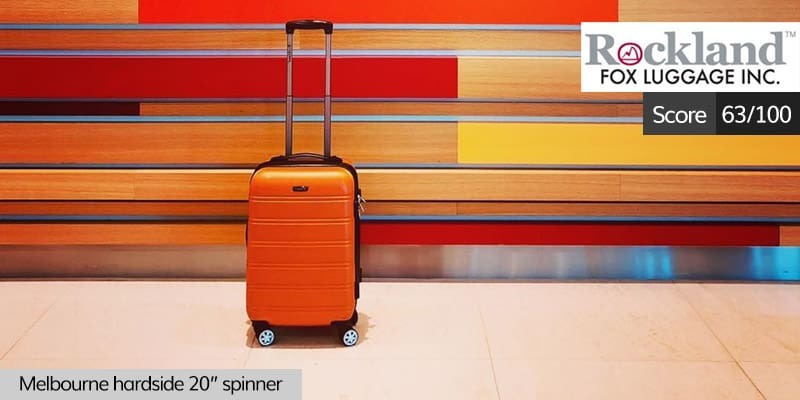 From the exterior, the suitcase is fitted with double spinner wheels for smooth moveability, side and top handles for carrying the bag and a retractable handle for pulling the bag. A cool feature that’s not included in the polycarbonate hardside is that the Melbourne has expandable width. This means that you can expand the width by an additional 25%. As same as all of their suitcases, this one is also available in over ten different colors to choose from. From the interior, the bag is made in a split-book style, where both sides are divided by a fabric sheet. Also, inside you’ll find two compression straps, a zippered pocket, and an open elastic pocket. Nothing too advanced. Given its low price, this suitcase can be a solid option for those of you who are flying 2-5 times per year. If you’re looking for the most affordable carry-on that you can find, this carry-on might be just what you’re looking for. You can get it for less than 30$, which is just insane. However, don’t expect it to last for years. From outside, the bag is fitted with two front pockets, top and side handles for carrying the bag, spinner wheels, a retractable handle, and expandable width. Also, it’s available only in 7 different colors, which is not much for Rockland. The interior is pretty basic as well; you get two compression straps and one large pocket for your smaller items. If you’re looking to get a bag for only a few trips, this carry-on could do it. However, we would advise against purchasing this bag if you’re frequently flying. Same as the Rockland 19-inch carry-on, the Rockland 2-piece luggage set is also incredibly cheap. In fact, this set is cheaper than most affordable carry-ons we’ve seen. 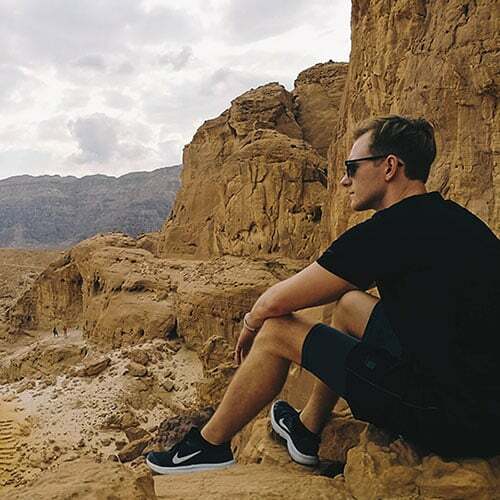 Although it’s not made to last, it’s a solid choice for people who travel rarely. What strikes us the most is that this luggage set is available in 50 different variations and colors. It’s their most popular model yet and has received vast amounts of customer feedback. And the reviews actually are pretty good for a less than 30$ luggage set. When it comes to features, this set isn’t too advanced. From outside, you get two front pockets on the carry-on and one front pocket on the tote for all of your smaller gadgets. You can either carry the tote by hand, on your shoulder with a detachable shoulder strap or keep it on top of the carry-on by securing it on the retractable handle. If you need to, you can expand the suitcase by using the expandable zipper, which will make the carry-on wider by an additional two inches. From inside, the carry-on is fitted with a large main compartment, a large zippered pocket, and two compression straps. Although the price may seem tempting, don’t expect this set to last for years. It’s great for people who travel 2-5 times per year but offers limited packing options. Imagine if I told you that you could get a 4-piece set cheaper than most medium-tier carry-ons. Well, with Rockland this has become a reality because this 4-piece set is priced pretty ridiculously. It’s available in three different colors and features a dotted pattern, which looks kind of cute. In features, the bags are pretty limited. You’ll get a few outer pockets for smaller items, and only one pocket in the main compartment. It’s good that these bags are expandable in width, except for the tote. Another bonus is that all of the bags stack inside one another, which results in less storage space when not used. To shave off some dollars off the price, they’ve used polyester and went for skate wheels instead of spinner wheels. To be frank, we’re not even sure how they’re able to sell at such low prices. Just for our interest, we couldn’t source any Chinese companies willing to make suitcases for less than 15-20$ a piece. How is this set so cheap? We have no clue. Don’t purchase this set if you’re frequently flying though. It’s not made to last, so don’t expect it to. It’s suitable for people who travel 2-5 times per year, and even then the set should last only 3-5 years.